Hear me roar: It’s not just the official motto of house Lannister in the very popular television show Game of Thrones, the official currency of Moldova is Leu, which is the same as that of Romania. And interestingly the word Leu translates to lion in English. So be careful during monetary exchanges because, you might just confuse between the Romanian Leu and the Moldovian leu. And even though, most if not all Moldovians are trilingual speaking Romanian, Russian and Gagauz, most of them definitely are bilingual speaking the first two languages effortlessly. And not only does it share its currency with Romania, it also shares its language. They sure like their booze: On October 3 and 4, wine producers open their homes and vineyards for the masses for the celebration of National Wine Day. Not only can you taste the wine at super cheap rates, they also have transportation facility ferrying you from one site to another to continue your wine revelries. What’s interesting perhaps is that despite being riddled with poverty, with its wine export being thwarted and its wine banned in Russia, Moldovians quickly aim to surpass even Belarus in its alcohol consumption. According to World Health Organisation, inhabitants of Moldova, consume around 17 litres of alcohol each year. No wonder it is the home of the first and second largest wine-cellar in the world. Home of the cow and the birds: The beefy and protein filled bovines might now be not that conspicuous, but they are sure immortalised albeit on the national flag as the emblem of the country. It features the head of an auroch mounted on a shield placed strategically on the bosom of an eagle holding a cross. Moldova is also the home of over 300 different species of birds. While some reside permanently year-round, some simply pass the country while migrating to warmer climates. Nonetheless it is a pleasure dome for bird watchers. Eat-drink- and be merry: Moldova might be impoverished, but it knows no bounds when it comes to eating, drinking and being merry. Unlike its neighbour, Russia, which celebrates Christmas in January, Moldovians commence their celebrations from November and celebrate the main event from December 24th to 26th with parties, revelries and gift givings. The moldovians love their music, so much so, that a Romanian ballad about a sheep known as miorita’s first two verses are printed on bank notes. 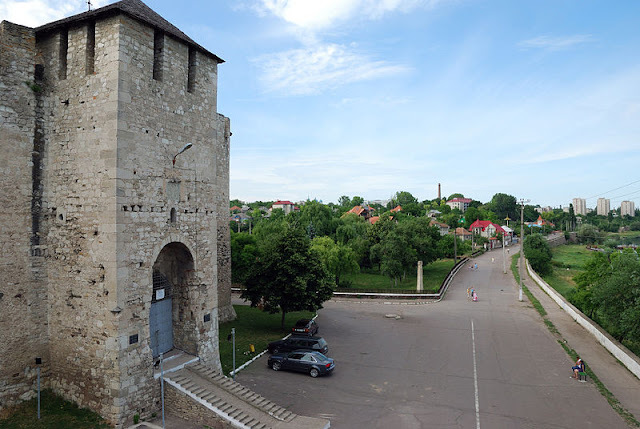 Home of the gypsies: Soroca is the gypsy capital of the world and if you want the taste of real Moldova get off the cities and explore the countryside. A relatively new nation: the country found its independence in 1991. And its capital Chisinau was bombed in 1940 by the red army in October 1940. Still it has not been pushed under the radar, rather has emerged as a strong progressing European country albeit not a part of the European Union.